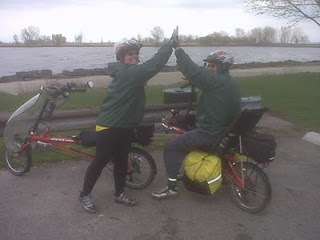 During the week of Spring Break, my daughter-in-law, Amy and my son, Todd, rode their bikes across the state of Ohio. Although it was hard on me, I thoroughly enjoying giving them support, including a ride home from Lake Erie to near Cincinnatti. They are at it again! I just received an email from Amy informing the family they they were taking 12 days to ride the GAP Trail in Penn. and Maryland. They plan to car camp and ride 25-30 miles a day round trip on the bike trail. GOOD FOR THEM! Inspiring my kids to work hard but to also enjoy life has been one of my greatest accomplishments. I really have no idea how many times we crossed the country together when they were children. We've done the car/motel, fly to destination and also to tow a camping trailer. So many great memories! I'm so proud of each of them. Kimberly just returned from a trip to San Diego with her family. It was their summer vacation. They traveled to El Paso, Texas over their spring break. Each of the kids plan to spend a week at the condo in Myrtle Beach in October. Julie and I will spend three weeks there. Bye-the-bye, I now have a picture of my grand daughter Bethany's latest book. 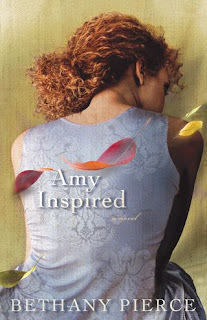 It is called AMY INSPIRED . It will be in the book stores soon. Take care and take time to smell the roses!